I’ve had a relaxing Christmas in 2009. It’s a good thing too because the political year ahead looks frantic. Tony Blair, Geoff Hoon and Margaret Beckett are all pencilled in to give evidence to the Iraq War Inquiry in the first few weeks. We may be into election territory as early as March. Barring a major event (assassination, alien landing) I’ll be back on Jan 5. Happy New Year to one and all. 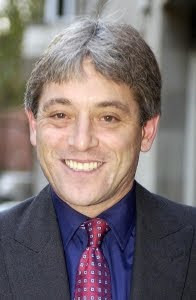 I was chatting to someone closely connected to a Labour MP earlier who'd not realised I wrote Lobbydog but confessed to having it in their favourites. I invited them to leave a comment next time they visited, saying that Lobbydog was meant to encourage debate. They said: "Really? I thought he was just a sh*t-stirring little dog." Sh*t stir: (verb), To cause commotion by poking fun or revealing information to get a reaction. Probably not too far off the mark, I replied. But I can only stir the faeces that is already in the bucket. Now I'm really looking forward to the election. I thought it might be interesting to actually write out this answer given by Harriet Harman at PMQs to a question about Lord Ashcroft. What? That was also what Speaker Bercow must have thought before he impatiently cut her off in mid-sentence. I always thought Lord Adonis didn’t have much of the Machiavelli about him. He seems a little more principled than most senior politicians and a little more interested in his ministerial brief than his career. Actually it wasn’t. Sir Thomas More was beheaded in 1535 after refusing out of principle to sign the Act of Supremacy, which enshrined England’s split from the Catholic Church. 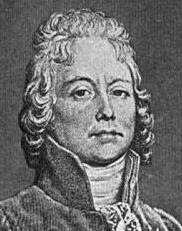 The line Adonis quoted was actually made by Charles Maurice de Talleyrand-Périgord. Known simply as Talleyrand, he was a diplomat and politician so versatile that he managed to work under the King of France, for leaders during the French Revolution and for Napoleon. I wonder whether Adonis will be a More who dies for his principles or a Talleyrand who lives for his work. Bob Ainsworth gargled his way through his defence statement just now in the Commons. With an air force base closing and a reduction in the Harrier and Tornado jet forces, I’ve no doubt papers will present it as a downgrading of the RAF in the morning. 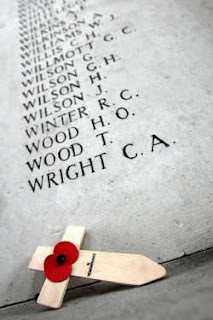 Bob said the cuts were needed to boost support to the forces in Afghanistan. But putting aside the fact that our forces have been under-funded – not because it’s insignificant, because it’s taken and everyone else will be discussing it – the role of the RAF has been in question for some time. Defence minds I’ve consulted on both sides of the House have said the RAF’s time is coming to an end. Rather than having a dedicated air force in the future, a more likely and affordable scenario, they say, is to have beefed up air capabilities in both the army and navy. No one is prepared to say that in public of course, because who would want to cut back on Winston Churchill’s brave “few”. I fear, however, that this is another step along the road to that end. It was Chancellor Alistair Darling's pre-budget report statement in the Commons and I and several other hacks were eagerly paying attention to events. I don't mean the actual statement, of course – Darling can bore a man so badly that all the blood runs out of his head. In fact, I think that actually happened to one MP. The poor soul was Shadow Home Secretary Chris Grayling; his melon head flopped back and his eyeballs rolled up so that all you could see was white – very freaky. Read the Evening Post parliamentary correspondent's column here. When is a shed, not a shed? My mouse-scrolling finger is feeling a little bit worn this morning. I spent hours yesterday sifting through a mass of MPs’ expenses so sorry for the lack of blogage. Anyway, a couple of neat items popped up. A cabin with a glazed veranda – costing the taxpayer £1,000 – which an MP managed to squeeze past officials by saying it was replacing a dilapidated old shed. It would have had to replace something because MPs weren’t allowed to “upgrade” their garden under rules at the time, only replace things. And then there was the £50 for dog minding – part of an invoice charged to another member by a decorator who would only take on the job if someone was paid to watch his pooch while he did it. This is the last time there’ll be such a load of expenses released at once as they’ll now be done on a quarterly basis. That will hopefully start to normalise the whole expenses issue. You can’t escape the feeling that a reason the story still has so much mileage – a part from the fact that documents were released and the Legg Review is pending – is that it still feels novel to get the insight into someone’s private life that the receipts give. Big beast Ken Clarke was trying to cause friction between two neighbours on Downing Street when he was chatting to Lobbydog about the pre-budget report last night. He said: “Alistair has to decide whether he goes into posterity as a responsible Chancellor of the Exchequer, or whether he plays silly politics at the behest of the Prime Minister. “He won’t be Chancellor very long now anyway. 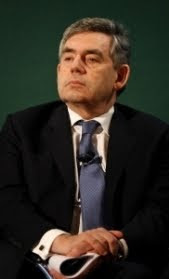 Gordon wanted to get rid of him and bring in Ed Balls at the last reshuffle and in the unlikely event that Brown wins the next election he will sack him and do just that. Good old game playing. But the thought must have crossed Darling’s mind that even if Labour does win he’ll be for the chop. 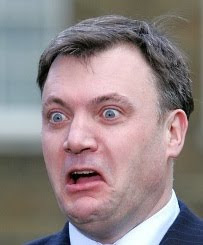 I’ll be watching Ed Balls' face during the PBR today. Lobbydog noticed a long time ago that when the PM talked about numbers of businesses Labour had helped during the recession, he focused on those that had been able to defer taxes. That’s all very well. But it struck me that deferring taxes was something companies sorted out themselves with the Inland Revenue, once Government had given the go ahead. What about all the schemes involving action from DBIS, HM Treasury and banks. I’m talking about the likes of the Capital for Enterprise Fund and the Working Capital Scheme. Initiatives that seemed to regularly pop out of Government departments like cuckoos from a cuckoo clock. The Tories have been keeping their eye on this too it seems and sent over the following information. Lobbydog will be taking them to DBIS to see what they have to say. A £75 million fund to invest in small businesses needing equity, announced on January 14. Only seven businesses have received money from the fund in its eleven months of operation. A scheme pledging £10 billion in guarantees to cover credit to businesses with a turnover of up to £500 million a year, announced January 14. The Government provides banks with guarantees covering 50% of the risk on existing and capital projects worth up to £20 billion. It was delayed for months, and then agreements were only signed with three banks (RBS, Natwest and Lloyds) for £2 billion, a fifth of the scheme’s original allocation. Rosie Winterton recently announced that the remaining funding for this has been reallocated. A £1 billion scheme to invest in innovative business, announced 6 months ago. No investments yet made. It has not appointed a fund manager. The scheme allows suppliers which have seen trade credit reduced to buy taxpayer-guaranteed ‘top-ups’ worth up to £2 million, announced in April. Some £5 billion in insurance was pledged, but only 72 firms have benefited. Only £13 million – or 0.4% of the £5 billion allocated to the scheme – has been handed out. The programme involves two forms of help for car manufacturers. One involves guarantees to unlock loans of up to £1.3 billion. The other involves loans or loan guarantees to support up to £1 billion of lending. No loans have been made. A loan was offered to one car firm, but the company rejected because it thought it could get a better deal elsewhere. Lobbydog is going to a lunch with Rory Bremner later – a taste of what I hope to see. There were many Qs at lobby today about public sector pay after the PM said civil servants who earned over £150,000 would be named. Try reading out loud the answer given to one question below. Hack: Just to check on the speech today. 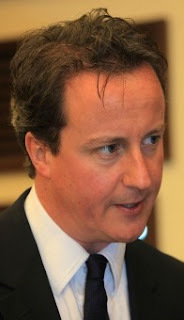 The Prime Minister talked about people working for publicly funded broadcasters and anyone earning over £150,000. Will this mean actually publishing their salaries or what will that actually mean? PM’s spokesman Simon Lewis: First of all the chief secretary will approve pay levels in excess of £150,000 for all civil servants. And that is with immediate effect and that is obviously on appointment, so it’s not retrospective. Any job application or advertisement that goes live now, that is in process. [In] a category of jobs where ministerial approval is not required, then the expectation will be that the relevant secretary of state will expect all organisations in their sectors, where there are salaries in excess of £150,000 to publicly justify those. So this is about transparency, which we think is very important as well. Ditto any bonus over £50,000. The other important point of this is Bill Cockburn has been asked by the Prime Minister, and he is writing to him today, to look at the whole area of public sector pay in respect of those earning above £150,000. Bill will put together a group, which I think will comprise, for guidance, the senior salary reviews pay review body plus other representatives and they will report by the time of the budget. So the really important point here is the principles. The Government can obviously take control of those jobs where we have direct responsibility for signing them off, but there’s a raft of jobs, for your point, including organisations which are covered directly by ministerial appointment where we think it’s really important that we use the principles of transparency and accountability to shine light on them. There’ll probably be certain categories that will not be covered by this, clinicians probably being one category. But the driving principle here is the Prime Minister’s very strong view that it is time for a complete change in culture in the top pay in the public sector and this is a very effective way of moving this forward and clearly we want to make sure that the Cockburn Review looks as widely as possible. That’s probably a rather long winded answer to your question, but does it kind of cover what you were asking? Winds of change? More like hot air. A wind-swept Peter Luff appears, gazing into the distance, on the front of the latest issue of House Magazine today. He has popped up a lot more recently as he, and others in the party, try to indicate to Cameron that they should not be forgotten if the Tories win power. He has always come across pompous if you ask me – on his website he points out how important his own role is with the Business Select Committee. It might be that. 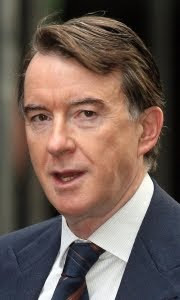 Or it might be that he comes to watch Peter Mandelson eating you for breakfast. Of Geoff Hoon’s many talents Lobbydog never thought match-making would be one of them. 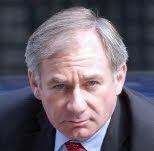 All cherub-like, the former Defence Secretary shot his arrow of love at Tony Blair’s son Euan, according to Mandrake. Hoon apparently hooked him up with Suzanne Ashman, the 21-year-old daughter of motor racing tycoon Jonathan Ashman – who himself married Sian Lloyd recently, who herself used to be with Lib Dem oddball Lembit Opik, who himself just broke up with his underwear-model girlfriend. A right old stitch up? There has been a right old spat going on in Sherwood constituency where Labour wannabe MPs are vying to become the party’s candidate. 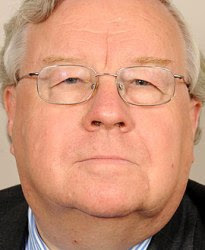 Whoever wins will take over from Paddy Tipping MP who is standing down after suffering a heart attack earlier this year. The local Labour group got in a tizzy when the ruling National Executive Committee decided the candidate should be chosen from an all woman shortlist. That was despite local party members making it clear they didn’t want one. As if that wasn’t enough it seems the national party is favouring one female candidate in particular. “I can smell a stitch up a mile away, and this stinks,” one local party member told me. The favoured candidate is Emilie Oldknow who also happens to be the party’s East Midlands director – so could theoretically have a certain amount of influence over the selection process anyway. Another candidate, Helen Holt, has now quit the race claiming the way applications were given out favoured Oldknow. Just to put the cherry on the stitch-up cake, it turns out Oldknow is also going out with Jonathan Ashworth a Downing Street Advisor. She may as well just wear a parachute to the selection contest. Lobbydog has learnt that Number 10 is on the brink of officially announcing a U-turn on childcare vouchers. At present, working parents can make savings on the cost of childcare by opting to receive £243 of their monthly pay in vouchers before income tax and National Insurance are deducted. However Gordon Brown had said no new entrants would be accepted to the scheme after 2011, while the tax relief would end for all people still receiving the vouchers from 2015. At conference the PM said the money saved would instead be used to provide 40% of two-year-olds with ten hours of free childcare a week on a means-tested basis. But a revolt by Labour women who reckoned the change would push middle class voters away has forced the plan to be shelved. I understand that they may simply take people on the top rate income tax off the vouchers scheme but retain the rest – time will tell. News of the U-turn had yet to be confirmed by Downing Street officials, who until now claimed that no decisions had been made. 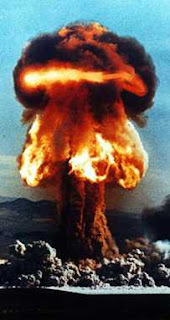 Lobbydog was last night chatting with Archie Ross – an RAF veteran who was on Christmas Island when the Government carried out H-bomb tests in the 50s. Today the 74-year-old needs surgery every three months to remove skin growing in front of his eyes that he fears will eventually leave him blind. Meanwhile his daughter Julie, now grown up, was born with a series of deformities including a finger that was 18 inches long, an arm twice the size of an average one and a host of chest problems. He’s one of a thousand vets experiencing health problems who are fighting for compensation. In June a judge gave them the green light to sue the MoD, and ordered the ministry to attempt to negotiate a deal with the vets. But so far they have refused to settle on grounds acceptable to the victims and their families. As an MoD official put it bluntly last night “we are therefore proceeding to the court of appeal”. Despicable. 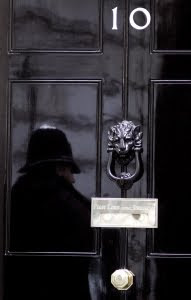 Something must have happened at Number 10 this week. It was as though somebody opened a door in the side of Gordon Brown’s head, climbed in, found the light switch and turned it on. 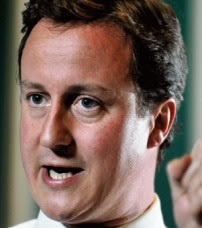 He dumped his ‘morals’ about not making personal attacks, and launched a withering assault on Cameron the man. The day started off looking like every other PMQs for months – “your policies have left us in recession, when everyone else is out” Vs “you have no policies; this is what we’ve done that you opposed”. But then Brown came out with something that took everyone, and Cameron, by surprise. “The voice maybe that of a modern public relations man, the mindset is that of the 1930s,” said the PM. It was not a killer blow and it smelt like Brown had only just remembered the pre-prepared line and slipped it in, but it didn’t matter. 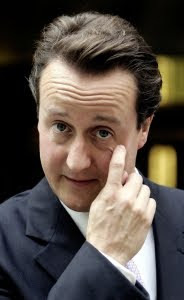 An attack on Cameron the slick salesman has been cried out for from the Labour benches. Here it was, and the House came to life. Cameron then got back to the old lines. If the PM had responded alike DC might have taken the day. But the Labour leader, and it feels like a long time since he’s really been that at PMQs, kept his guns firmly on Cameron. By this time there was a flood of background noise swirling around the Commons floor, as the pair began to spar over inheritance tax. Cameron accused Brown of raising the threshold, Brown had the final word. 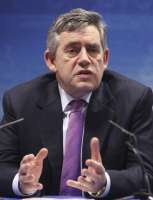 His attack was essentially an old one – Tories want tax breaks for the few, Labour wants public services for the many. But with the House in the mood it was it scored the point. “With him and Mr Goldsmith, their inheritance tax policy seems to have been dreamed up on the playing fields of Eton,” he said. I can’t help but feel that Cameron expected today to be like every other PMQs recently and was caught with his pants down. He has some serious thinking to do if he wants to keep on top of things. Meanwhile Brown has to prove that this was not a momentary spark and that he can keep the pressure up in this way. Given that many of the PM’s attacks came from the same ideological ground he’s always fought on, he proved today that often on the Commons floor it’s not so much what you say, but how you say it, that counts. A Labour MP told Lobbydog earlier that the Government was making a huge mistake with its European Financial Services Proposals. The crux of his gripe was that the credit crunch was leading us to erroneously allow the EU to micro-regulate our biggest industry. 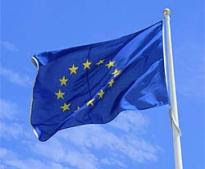 The MP, South Derbyshire’s Mark Todd, is not anti-EU and does not does not disagree with EU regulation ideologically. But he argues that the EU doesn’t have the know-how to come up with rules for things like hedge funds, which they have little experience of. 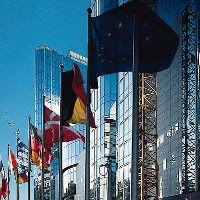 “The difficulty is that we have the largest financial sector in Europe, is so far as we compete with the Americans, whereas many EU countries have smaller or non existent financial service sectors. “Some of the models we follow are not common in those countries – in fact a lot of the most technical financial products are only sold through London. I can already hear some people shouting that the problems we felt in this country through the recession were not so keenly felt in the EU, so why shouldn’t we let them regulate. But don’t forget that the credit crunch erupted from the banking sector and in-part from insurance – regulations obviously need tightening there. That doesn’t mean we should accept regulations of other parts of the sector where the model has not been discredited. On announcing he would stand down as an MP Sir Patrick Cormack said: "I am not retiring - I am merely changing direction." Feel free to make any suggestions. For months it’s been Labour lips urging commentators to wait for the poll that matters, but for the first time a Tory MP spouted the same line to me this morning. We were chatting about the ComRes poll for the Indy which suggests the next election will result in a hung Parliament, the second to do so. It’s not a massive blow to Cameron considering another poll by YouGov recently said they had a lead in key marginal seats in the North. 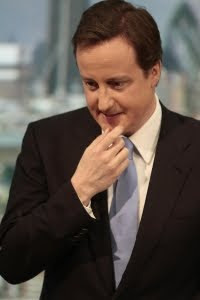 But it will plant an itchy seed of doubt that should spur Cameron to shift up a gear. Moreover, it should bolster Labour MPs who have been looking for evidence that the Tory leader has really “not sealed the deal”, the line they’ve been hopefully gushing while their party has wondered electoral wastelands. No matter how much people point out how few families the Government’s Mortgage Rescue Scheme has helped, until now the spokespeople have stuck fast to the line – ‘it was only ever meant for the most needy’. 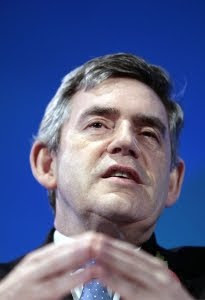 That is despite Gordon Brown saying that it would help 6,000 families most at risk from repossession, when after nine months it has only helped a piddling 92. 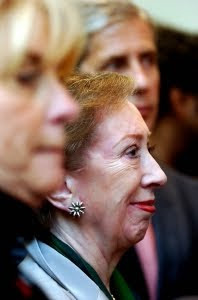 But the Government’s defence was knocked today when Margaret Beckett, who launched the scheme when she was Housing Minister, admitted to Lobbydog that it may need reworking. 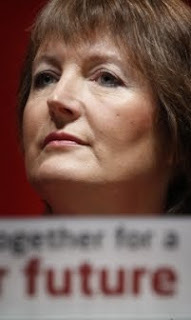 Having lost her job in the summer reshuffle she is not so constrained anymore, and when told that not a single person in her own Derby constituency – indeed across the whole county of Derbyshire had been helped, she gave way. “I’m surprised at the results. Certainly it was always thought that not all the families that we would want to be on the scheme would be able to go on it,” she said. “The idea was to try to prevent people from losing their homes if it was at all preventable. It’s a flaccid admission, but an admission none-the-less, from the minister who launched MRS that the scheme has not worked. This blog has been a long time tracker of Keith Vaz as he pants like a chihuahua around the feet of the rich and famous. This gem of an example popped up this week after Vaz attended the wedding of Bollywood star and Big Brother winner Shilpa Shetty, pictured. Get ready to cringe. Mr Vaz said: “Most of their famous friends were due to be at the reception, but I was invited to the wedding. As if people's lives weren't hard enough at the moment the Government appears to be encouraging parents to stick their cash in a loss making scheme. 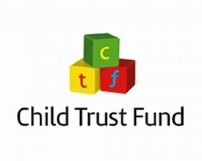 A Labour MP came to Lobbydog complaining that HM Treasury was haranguing him to try and get more of his constituents signed up to the Government's Child Trust Fund. Under the scheme parents get a £250 voucher to open the fund. They are free to pay in whenever they want and then they get regular update letters showing them how much money is accruing. The problem is that it isn't, accruing I mean. The money in the trust fund is invested in stock, property, or whatever the particular chosen scheme deals in. Obviously during a recession, as the value of those investments drops, so will the value of the trust fund. The MP has had parents come to him who have opened the fund with their voucher and then month by month seen the value drop - £240, £230, £220 - until some have feared they might even end up owing the Government money. They won't of course. But even the fact that the Government wants them to put their own money in the trust fund when its value is dropping is pretty twisted. Treasury told me it's still a good long term investment, but they should at least stop pushing it until the recession recovers. That of course would make the policy look bad. Maybe now SKY are highlighting that Clarke wants a debate with Mandy, things might happen. Mandelson somehow resisted the huge pressure that came (cough, cough) after Lobbydog ran the story in March. A glance at the names down to question the Health Secretary today presented a worrying picture for Labour. Given that health is a key election battle-ground, particularly when members can ask about the services in their local area, you would think Labour MPs would be queuing up to take part. But out of 25 names on the question list just five were Labour MPs. In the absence of any real zeal to get involved you would think the party machine might kick-in, require people to partake in debates and score points off the opposition. But one Labour MP LD spoke with sighed and said there was a lack of any kind of organisation, when it came to party heads speaking to the troops. As election-day approaches the amount of position-jockeying within the Conservative party is hotting up. Despite more moderate Tory poll leads in recent days, those who’ve been in the parliamentary party for a while are adamant they shouldn’t be left out when the jobs are divvied up after an election victory. The problem for them is a raft of new MPs that will flood into the Commons if they do win, many of whom Cameron is sweet on. 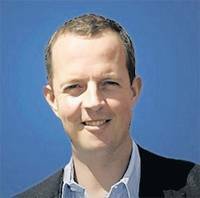 The likes of Nick Boles, for example. 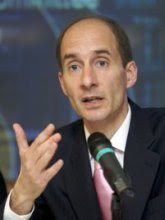 He is the candidate for Grantham, where Lady Thatcher grew up (corrected Events and Old Rightie), currently held by the defector Quentin Davies. 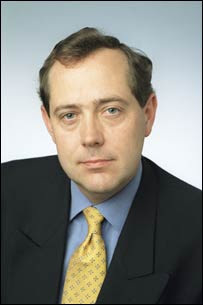 Boles was also the founder and former director of the favoured think tank Policy Exchange and, with Francis Maude, leads the Conservative’s policy implementation unit. He is Notting Hill set and apparently close to Cameron personally – “that’s what he likes to tell people anyway,” commented one Tory MP. If the Tories do win Cameron will need, for a while at least, to have a number of people in Government positions who know how Parliament works. That bodes well in the short term for the MPs who have made his opposition function in the Commons. But I suspect that after a couple of years in Government we may see Cameron clean out what will then become the old guard, and replace the majority of them with the “young turks” who win seats at the 2010 election. "It is now the norm to arrest offenders for everything if there is a power to do so. "It is apparently understood by serving police officers that one of the reasons, if not the reason, for the change in practice, is so that the DNA of the offender can be obtained." When a Labour MP stands down it is normally the party’s National Executive Committee (NEC) that decides how the contest to become the new candidate for the seat works. But there are so many Labour MPs standing down at the next election that the NEC has had to set up a special sub-committee to deal with the issue. It will meet tonight to fix which of 14 constituencies should hold open contests, which should hold contests from all woman shortlists and on which they should impose a candidate. 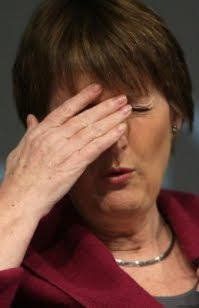 There is a feeling that with Harriet Harman weilding a fair bit of clout on the NEC the majority of the 14 will be all woman shortlists. The rumour, as well as talk of imposed candidates, is already causing friction at a local level. 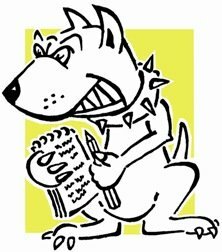 Lobbydog was chatting to a dad who has been campaigning for a change in the law governing the use of airguns. A couple of years back his son was playing with two other lads who had an airgun, and was accidentally shot in the eye – he died two days later. The dad had, among other things, wanted a law saying that air guns should be kept in a locked cabinet when not in use. He was understandably happy when the Queen’s Speech included a line saying there would be a law requiring the weapons to be kept out of kids’ reach. But after LD read through the detail of the legislation, which was published this morning and gave him a call, he was not so pleased. The wording of the law, rather than requiring guns to be kept locked up, simply said “reasonable precautions” had to be taken to stop youngsters getting them. Anyone that has watched any sort of court case knows that is far too vague a wording to make it easy to prosecute anyone who commits the offence. The question has to be asked why they didn’t simply spell out that it should be locked up when not in use, as the dad put it – what harm would it do? One MP mentioned it may be because the Government had wanted to keep the rural lobby happy, judging by comments on some airgun websites they are pleased with the “flexibility” of the wording. Unfortunately I fear that in trying to keep everyone happy the Government may end up with a dud law. 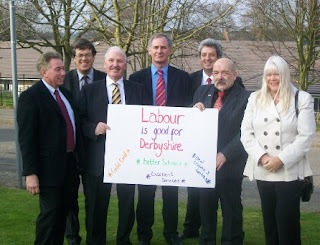 Sorry for being distant over the last few days, I was busy preparing copy for Brown’s visit to the East Midlands. Oh, and there was the Queen’s Speech too – it’s amazing the amount you can find to write about an event with nothing in it. 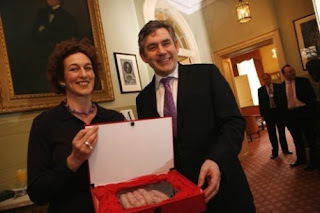 Anyhoo, to start the day I notice that Baroness Ashton is the British contribution to the ‘big two’ EU jobs. This is a woman who has never won any sort of election, for whom the Daily Mail description “relative nobody” is an understatement. 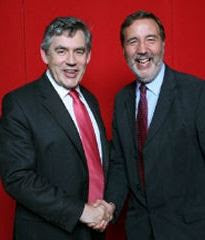 I do note, however, that Geoff Hoon was passed over for the job. Which is worth a mention. Sally Bercow was glowing as she watched her Speaker hubby take part in the state opening of Parliament just now. She tilted her head to one side in pride as she watched him traipse into the Commons in full ceremonial dress. Either that or the huge fascinator she was wearing – really, it was the size of a second head – was proving too heavy for her neck muscles. More on the Queen's Speech later. The Independent Network (IN) - the association that guides parliamentary candidates without party affiliations – has launched its own blog. With the expenses scandal fresh in people’s minds as we come to the election, independents may feature in quite a big way. There are already noises that independent candidates will stand against dozens of MPs including Alan Duncan, Keith Vaz, Geoff Hoon and even Alistair Darling. Martin Bell, one of the IN’s chiefs, has said there are some 200 MPs who are “unfit for purpose”. As it’s not a party IN has no policies – it’s up to the individual candidate to decide what to think. But the organisation seeks to give candidates some legitimacy. To become registered with IN you need to undergo certain background checks and up hold certain principles which are laid out on their blog. There is talk that at least one of the three main parties, the Lib Dems, will stand aside for independent candidates where they are challenging a big name. The sharp eyed will notice that one Damian McBride is also pictured, leaning on the door frame in the background. Something monumental could be about to happen in Westminster that will affect the country for years to come. Ten days from now a report will be published that could dramatically change the way Government works. You will have noticed that the word “could” slipped into both of those sentences, the little blighter. The MPs who sit on the reform committee that I've spoke to are all adamant that a big power transfer is needed. They are likely to say that the power to do the above should be taken from Government and given to Parliament. They will also report on the possibility of the public being able to initiate business in the House. If their recommendations are adopted it could mean much more ferocious scrutiny of policy and ministers, which is desperately needed if Parliament is to re-establish itself. Lobbydog was chatting with the shadow attorney general Edward Garnier earlier today about the case of two British men who were put on trial in Latvia. The men had been arrested by an officer who claimed he'd been punched and kicked by the pair, who were in Riga on a stag do. But when it came to court CCTV footage showed no such attack, plus it turned out the officer had had no bruising and was also trying to get £40,000 in damages. Having spent £13,000 on legal fees the pair were acquitted and returned to the UK to get ready for their own weddings - only to find out Latvian prosecution lawyers are appealing the court’s decision and now they have to go back and do the whole thing over again. In UK courts prosecutions can not appeal acquittals – a rule brought in to stop the state victimising people and to bring some finality to legal decisions. You can have a retrial if new evidence comes up, and a defendant can appeal a conviction, but not the other way round. Garnier said that, given the British legal system doesn't allow appeals against acquittals, there is no way that a few years ago a court here would have allowed them to be sent back once they had already been cleared. Of course, with the European Arrest Warrant and a streamlined extradition system the UK courts have less power to stop it. Furthermore, Garnier warned that things are only going to get worse now that the Lisbon Treaty has been brought in.
" The best idea to help David Cameron that us hacks in Room 12 could come up with was for the Tory leader to put ice cubes down his trousers. Reading it back now it does seem a little severe." Pick up a copy of the Evening Post or visit the paper's website tomorrow to see the parliamentary correspondent's full column. 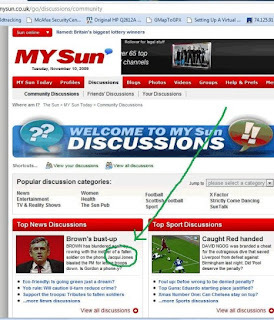 I've been sent this screen grab, can it really be that The Sun would be so insensitive?! 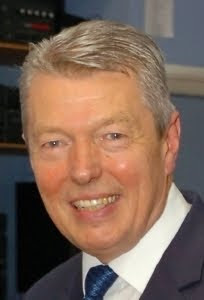 Alan Johnson will finally announce the Government’s proposals for keeping details of innocent people on the DNA database today in a written statement. Given the contentious nature of the database you’d think they’d give people a chance to debate it in the House. But on this issue they’ve not been shy about squeezing things through on the quiet where possible. As expected Johnson will say that the Government wants to retain the details of innocent people on the database for up to six years. It’s a course of action that goes against the spirit, if not the word, of a European Court of Human Rights (ECHR) ruling last year. At the time when the Home Office was formulating its response to the ECHR Home Office Minister Vernon Coaker said the ruling did not strictly forbid the retention of those who had not been convicted of crimes. 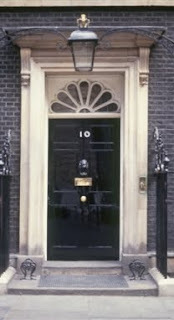 It has come to Lobbydog’s attention that Downing Street is running a special series of meetings with MPs in a bid to rally the party and get the PLP on message. The meetings are taking place on a region by region basis, with all the Labour members from each going in at a time. They sit around the cabinet table with the PM, who then gives a speech before outlining areas of policy where Labour “differentiates” from the Tories. The idea is that these are the lines they will be able to push on the campaign trail, to constituents and to their local papers. Does this mean the election is closer than we think? I try not to blog a commentary on the newspapers, but the transcript of the call between the PM and Jacqui Janes is too significant to miss. It is utterly painful reading – in part, of course, because of Mrs Janes’ grief at losing her 20-year-old son. But in the main it’s agonizing because of the PM’s manner, which is simply helpless. At times you can see he’s trying, but he just cannot separate politics from the situation. He wants to comfort Mrs Janes, but cannot let her make a point which might be politically damaging without coming back – even though as far as he was concerned it was a private conversation. A prime example is the part where Mrs Janes says she knows from pilots in Kandahar that there is only one casualty evacuation helicopter available. He starts to tell her he is “sorry” she has been given that information. If you are going to say sorry in that situation, the only thing you can be sorry for is a lack of helicopters. Anything else makes the word sorry seem empty – after that all you’re left with is a statement in which Brown is simply telling the mother she is wrong. I know it can be difficult to come up with the right words under pressure, but it shouldn’t be for a Prime Minister. 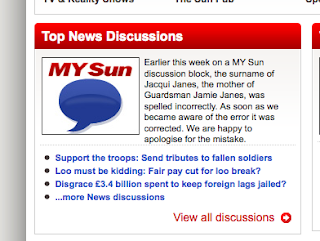 It sounds like Mrs Janes, coming from a military family, is well informed about what’s going on at the front. But I suspect hacks at the Sun, who are doing David Cameron’s dirty work at the moment, have been providing her with information too. Perhaps there is nothing wrong with that as long as she feels she is getting something out of the whole affair for her deceased son Jamie. But I also hope she doesn’t come to regret getting his memory tangled up with journalists and politicians.